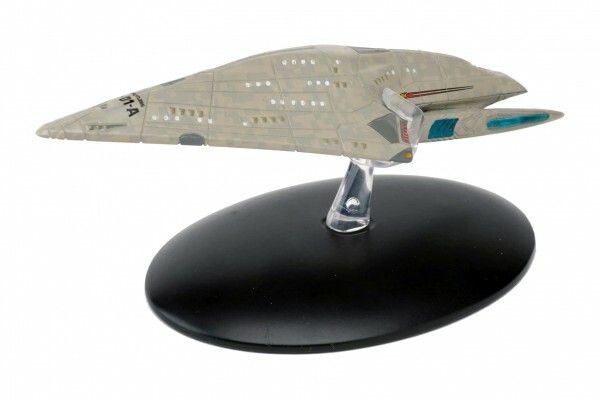 The latest model starship in the Star Trek Official Starships Collection is the U.S.S. Dauntless, a mysterious ship that the crew of the U.S.S. Voyager encountered thousands of light years from home in the Delta Quadrant. 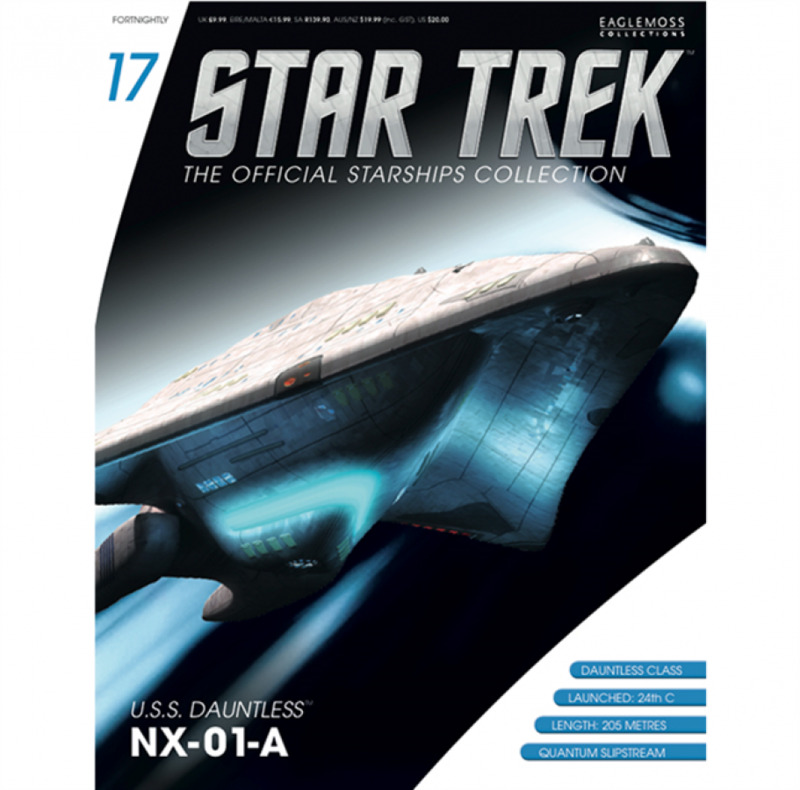 In the accompanying magazine we explore the design of the U.S.S Dauntless with original sketches from Rick Sternbach, as well as a look at the creation of Seven of Nine.